The Federal Aviation Administration has issued a supplemental notice of a proposed role for safety management systems in an effort to integrate proactive hazard identification and risk-management based principles on day-to-day operations at airports. The FAA said Tuesday it seeks to integrate the systems at any Part 139 airport either classified as small, medium or large hub in the National Plan of Integrated Airport Systems; identified as a U.S. Customs and Border Protection as a port of entry; or conducts more than 100,000 total annual operations. Comments are due to the FAA Sept. 12 on the proposal that the agency expects to affect an estimated 260 airports. 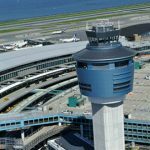 The agency will also implement an internal SMS effort that includes risk management for airport planning and development-related federal actions to manage airport operations throughout the FAA’s office of airports organization. SMS works to act as an organization-wide approach that covers procedures, practices and policies on safety policy, safety risk management, safety assurance and safety promotion. The Department of Homeland Security created a committee to help respond to all forms of violence. The Office for Targeted Violence and Terrorism Prevention will coordinate, follow through and use the agency's prevention activities including information sharing and law enforcement briefings to protect communities from potential threats, DHS said Friday.